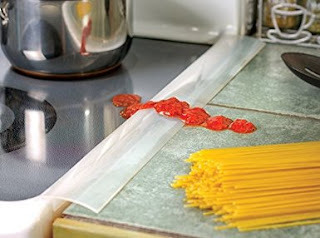 What do you think of this Oven Seam Protector? No more bread crumbs or other sticky messes will slip into the space between your stove and countertop - always a pain to clean properly! Works with almost any type of stove, and removes easily for cleaning. The 20-inch heat-resistant silicone strips can be used full length or easily trimmed for size.